After taking a speaking break for a few months, it is time to get back on the road. 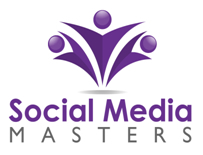 This fall, I am joining the Social Media Masters tour from Social Media Club. The conference series bills itself as “an advanced level conference for marketing and communications professionals.” It’ll hit five cities and I’ll be speaking at the Atlanta and Los Angeles and stops. The Atlanta event is on August 26 and Los Angeles is on September 9. With the coupon code SMMPO30, you can received 30% the ticket price. I’ll be delivering an hour-long “Online Community Building” presentation where I will discuss the art of community engagement, drawing from my real world experience in the space over the past 11 years. In addition, on November 19, I will be speaking in Raleigh at indieconf, now in it’s second year. It’s the “conference for independent web professionals,” speaking directly to freelancers and contractors looking to expand or better manage their business. I spoke at the inaugural event and it was a lot of fun and a good value. If you are in the area, or within an hour or two driving distance, I definitely recommend checking it out. My presentation for indieconf is, at this stage, to be determined. I will likely be announcing more engagements soon as I am close to booking a few more. If you are organizing an event or looking for speaker, I’d love to talk with you. If you’ll be able to make it to any of these events, please let me know in the comments! I’d love to meet you in person. Update (September 19, 2011): The Kansas City engagement has been canceled and this post has been updated to reflect that. I apologize for the confusion. Any chance you’ll be speaking at SXSW next year? Really loved the interaction and insight you provided last year in the panel I was in about turning your freelance skills into a corporate gig. Thank you for asking, Ashley, and for the kind words! I appreciate it. :) I have submitted a proposal to the SXSW PanelPicker for SXSW 2012. :) There is a very small chance of proposals being accepted (I think it’s somewhere around 8%), but I’m hoping to speak again! Look forward to seeing you there.